Sprint announced on Wednesday that its long-awaited 4G LTE network will be live in Atlanta, Dallas, Houston, Kansas City and San Antonio on July 15. Sprint currently offers several 4G LTE capable devices, including the EVO 4G LTE, the LG Viper, the Galaxy Nexus and the Galaxy S III, so there's plenty of options to choose from if you're in one of those markets. Sprint said that it hopes to "largely complete" its 4G LTE network by the end of 2013 and that additional markets will be announced later this year. To better meet the growing voice and data demands of wireless customers, Sprint is building an all-new, nationwide 3G and 4G LTE network through the Network Vision program. This means that whether a Sprint customer is using a smartphone to share a picture or to check the Web, Sprint 4G LTE will make it faster. Coupling the speed of 4G LTE with the industry's only truly unlimited data plan for smartphones makes Sprint the best choice in wireless. * Additionally, the new network provides significant enhancements to Sprint 3G service. Customers will experience better signal strength, fewer dropped/blocked calls, faster data speeds, expanded coverage and better overall performance as the improvements roll out across the country. "The performance of both the 4G LTE and improved 3G networks are exceeding our expectations and we are pleased with the progress of the entire Network Vision program," said Hesse. In today's competitive wireless market, the value of unlimited has never been more apparent. Sprint's Everything Data plan with Any Mobile, AnytimeSM includes unlimited data, texting and calling to and from any mobile phone in America while on the Sprint network, starting at just $79.99 per month for smartphones. Sprint continues the trend of delivering value to customers through its portfolio of 4G LTE-capable devices and unlimited data experience with Sprint Everything Data plans. 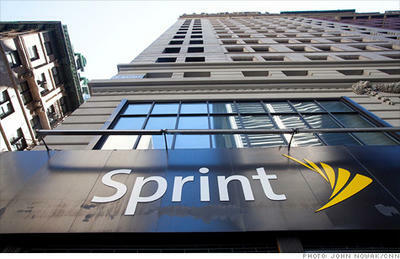 Sprint has already launched five 4G LTE-capable devices for less than $200 – HTC EVO™ 4G LTE ($199.99); LG Viper™ 4G LTE ($99.99); Samsung Galaxy Nexus ($199.99); Samsung Galaxy S III ($199.99 for 16GB version) and Sierra Wireless™ 4G LTE Tri-Fi Hotspot, the nation's first to support 4G LTE, 4G WiMAX and 3G ($99.99) (all pricing excludes taxes). The launch of these metropolitan areas demonstrates the continued commitment by Sprint to invest in its network through Network Vision. For the most up-to-date details on Sprint's 4G LTE portfolio and rollout, please visit www.sprint.com/4GLTE.